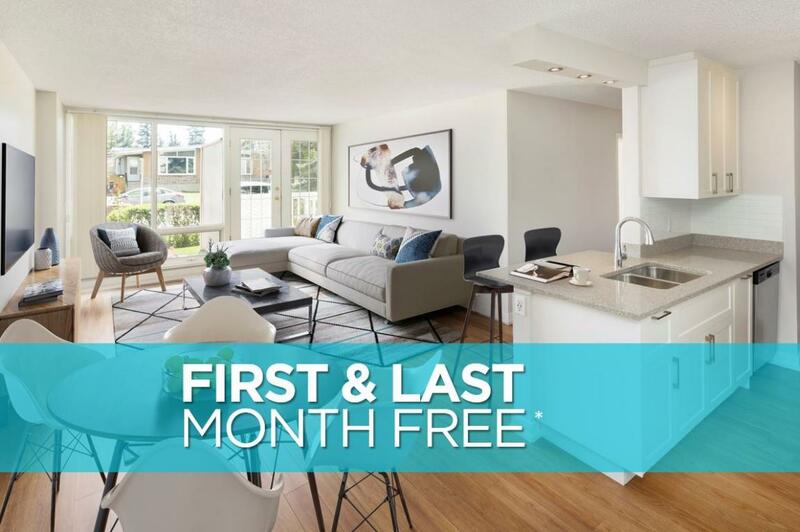 Move in and receive the first and last month free on your 12 month lease! Glenmore Heights Apartments is located in the heart of Calgary, and puts everything you need right at your fingertips. Surrounded by beautiful landscaping, this premium high-rise rental building is the perfect place to call home. It's easy to get around Calgary from Glenmore Heights Apartments. Hop on the C-Train at your doorstep, catch a local bus, or you can take any of the highways surrounding the property such as MacLeod Trail, Glenmore Trail or Elbow Drive. You can walk to local coffee shops, restaurants and grocery stores. When it comes to shopping, dining and entertainment, Chinook Centre with all its shops, restaurants and Scotiabank Cineplex will become your favourite go-to place in the neighbourhood. The Military Museum of Calgary is also a popular attraction. Golfers will find plenty of places to hit the links not too far from home. The spacious and freshly painted suites include bachelor, one and two-bedroom apartments. The large, airy suites feature luxury vinyl plank flooring and private balconies with stunning views of the beautiful landscaping and scenic vistas surrounding the property. Utilities are included in your rent for your convenience. You'll quickly feel at home in this pet-friendly community. Work out in the well-equipped fitness facility. Get together with friends and neighbours in the social room with its television and full kitchen. Borrow a book from the resident library. Wander around the gardens and enjoy the beautiful landscaping. Comfortably do your laundry in the large, well-maintained laundry facility. Enjoy the covered parking, secure building and the on-site management team that's here to ensure your needs are always looked after. Glenmore Heights is professionally managed by QuadReal Residential Properties LP.